Kaskey Kids gives children time to be creative, engaging them in creative play where they control the action. 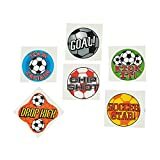 Not only are our products fun and educational when used as a visual teaching aid by coaches and parents, they also make perfect cake toppers, decorations, and centerpieces for sports themed parties and tailgates. ABOUT US: Founded by a mother of four who was in search of sport-themed toys that would keep her children entertained and inspired, Kaskey Kids has been featured by national publications like Sports Illustrated Kids and InStyle. We are the winner of multiple Toy Industry awards and are a Certified Woman Owned Business. 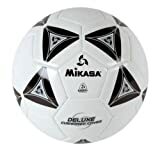 INCLUDES: 2 full teams with (24) total players that measure 2" tall, (1) referee, (2) goals, (1) 2" plastic soccer ball, (1) 32" x 20" realistic and washable felt field, (1) instruction booklet with basic rules and strategy, and (1) 10" x 6" x 5" storage container. For ages 3 and up. Kaskey Kids gives children time to be creative, engaging them in creative play where they control the action. 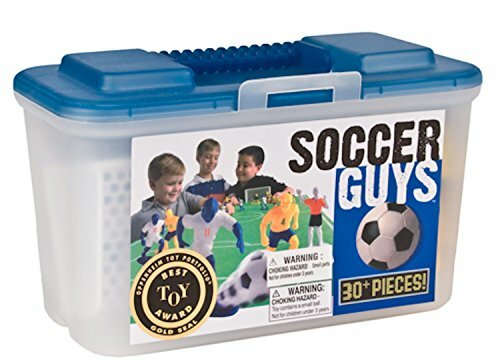 Like all Kaskey Kids sports guys, this set is a complete bundle of soccer action figures that make up two full teams, a realistic felt field, and other cool accessories packed into a handy storage container. Research shows open-ended play with no defined expectations or rules is beneficial to a child's social, emotional, and cognitive development. 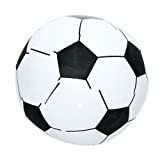 Kids can even extend the play value by bringing other toys into the fun; add cars to make a parking lot, use blocks to build a stadium, or set up other figures as spectators. 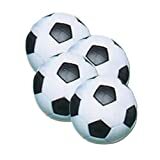 Not only are our products fun and educational when used as a visual teaching aid by coaches and parents, they also make perfect cake toppers, decorations, and centerpieces for sports themed parties and tailgates. Founded by a mother of four who was in search of sport-themed toys that would keep her children entertained and inspired, Kaskey Kids has been featured by national publications like Sports Illustrated Kids and InStyle. We are the winner of multiple Toy Industry awards and are a Certified Woman Owned Business.